Fast flashing with minimal after-tack. Use as a first-down, underbase flash white or an overprint stand-alone white. Use consistent, high-tensioned screen mesh to optimize performance properties. To increase production speeds, use finer mesh counts for the flash plate to decrease gel time. Set flash dwell times on heated pallets to simulate production. Adjust your settings so that the ink is just dry to the touch. For individual compliance certifications, please visit www.wilflex.com/compliance. Perform fusion tests before production. Failure to cure ink properly may result in poor wash fastness, inferior adhesion and unacceptable durability. Ink gel and cure temperatures should be measured using a Thermoprobe placed directly in the wet ink film and verified on the production run substrate(s) and production equipment. It is the responsibility of the printer to determine that the correct ink has been selected for a specific substrate and the application processes meet your customer’s standards or specifications. Do not dry clean, bleach or iron printed area. NON-CONTAMINATION OF EPIC INKS: Do not add or mix non-Epic inks, additives or extenders with Epic inks. 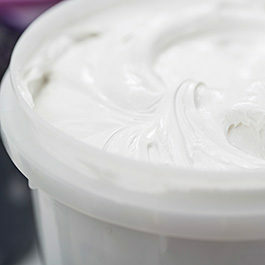 All buckets, palette knives, stirring apparatus, squeegees, flood bars and screens must be cleaned properly and free of phthalates and pvc containing inks. Non-phthalate emulsions and pallet adhesives must be used. Failure to follow these precautions may cause phthalate contamination in violation of consumer protection laws and regulations. Any application not referred in this product information bulletin should be pre-tested or consultation sought with Wilflex Technical Services Department prior to printing.